Great achievements in the 3rd China-Germany (Europe) SME Conference held in Jieyang! 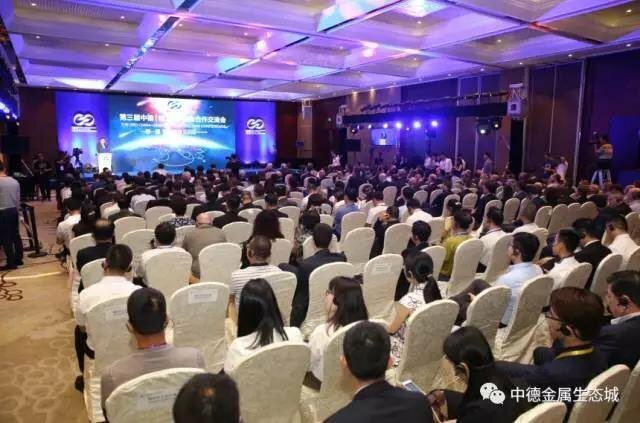 - ZhongDe Metal Group Co., Ltd.
Location：Home > News > Company News > Great achievements in the 3rd China-Germany (Europe) SME Conference held in Jieyang! 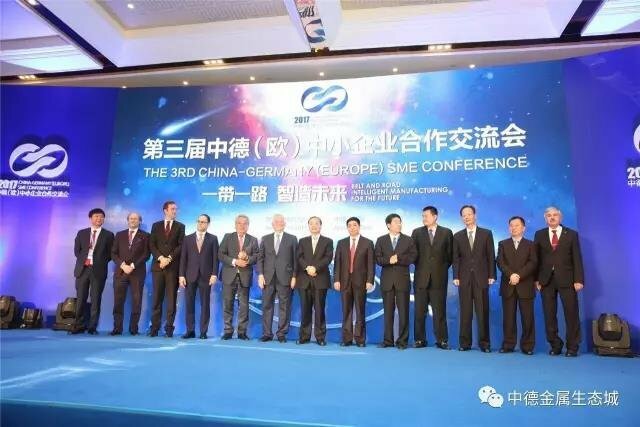 Great achievements in the 3rd China-Germany (Europe) SME Conference held in Jieyang! The 3rd China-Germany (Europe) SME Conference was successfully held in Jieyang on June 12 to 13. 550 match-makings between 165 overseas enterprises and over 260 Chinese enterprises were carried out. 35 cooperation agreements and 170 MOUs were signed. 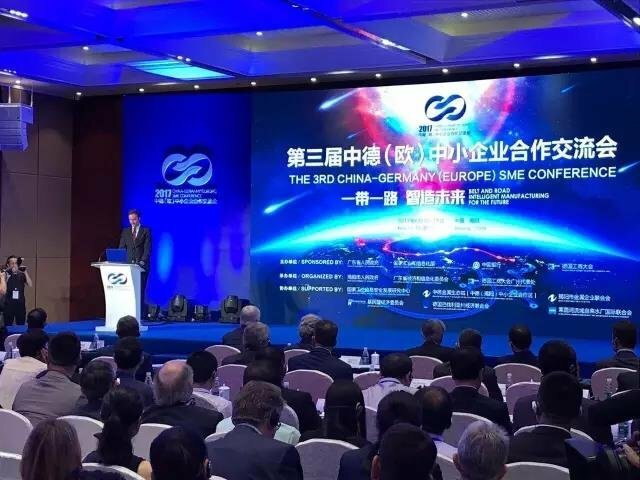 The conference is held to thoroughly implement the “Belt and Road” Initiative and establish a supportive, systematic and efficient platform for Chinese and German (European) SMEs to accelerate the match-making between Made in China 2025 and Industry 4.0, achieve mutual benefits and innovate technology for SMEs from China and Germany (Europe). Sponsored by People`s Government of Guangdong Province, Ministry of Industrial and Information Technology of the People’s Republic of China, Bank of China, Delegations of German Industry and Commerce (AHK), organized by People`s Government of Jieyang City, Economic & Information Commission of Guangdong Province and Delegations of German Industry and Commerce Guangzhou, the Conference was held on June 12 to 13. The foreign and Chinese leaders and guests attended the activity were the Vice Governor of Guangdong Province Yuan Baocheng, Party Member of China’s Ministry of Industrial and Information Technology and the chief engineer Zhangfeng, the Deputy Director of Development Research Center of the State Council Zhang Junkuo, the General Manager of Bank of China SME Department Zhu Jun, the Chief Representative of Delegations of German Industry and Commerce Guangzhou Yan Si, former Federal Minister of the Interior of Germany Otto Georg Schily, President at Confederation of German Employers Associations Dr. Dieter Hundt, Vice President of SPCR Frantiry CHALOUPECKA, the Commercial Counselor of Consulate General of Spain in Guangzhou Gao Liangdong etc. 165 overseas enterprises from Germany, Spain, Austria, France and Czech Republic had successful communications and match-makings with 260 Chinese enterprises. 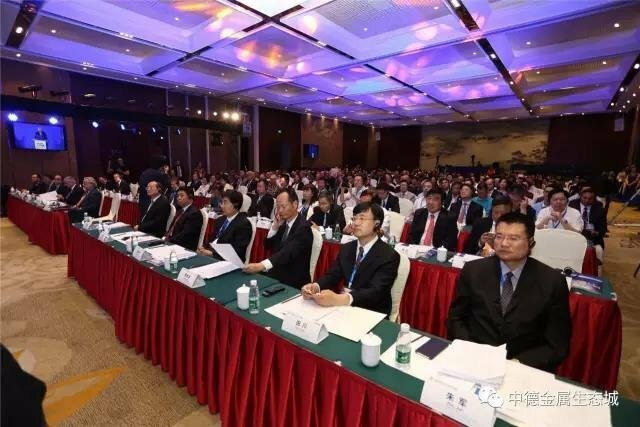 Vice Governor Yuan Baocheng expressed on the Conference Opening Ceremony “intelligent manufacturing is the core of a new round of manufacturing revolution, and also the development highland for SMEs to the future. Themed on ‘Belt and Road, Intelligent Manufacturing for the Future’, this Conference will lead the development of SMEs, and build a platform for SMEs to achieve technological innovation, advantages combination and win-win cooperation. The Conference was themed on “Belt and Road, Intelligent Manufacturing for the Future” and furtherly promote the goal of four “One Hundred”. 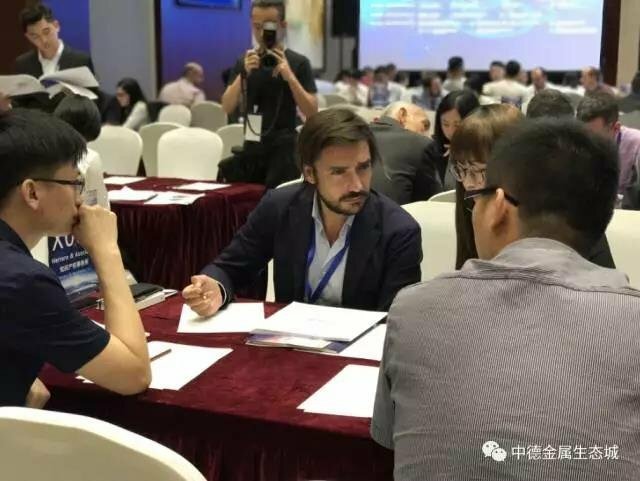 During the two-day conference, enterprises from Germany, France, Spain, Austria and Czech Republic had communications and match-makings with Chinese enterprises from Guangzhou, Foshan, Jiangmen, Taicang, Wuhu, Jinan, Pujiang and Kunshan, ect. The goal of four “One Hundred" had been effectively implemented and achieved great outcomes. As an event of unprecedented scale, the Conference is in more extensive range, with more forms of activity and achieves more efficient and fruitful results. The strategy of four “One Hundred” is to promote the exchange, communications and cooperation between one hundred Chinese and German (European) SMEs, to attract one hundred German (European) engineering expert engineers to sign agreements and serve as senior consultants for the enterprises, to organize the exhibition, transfer and transformation of one hundred high-tech achievements and advanced equipment, and to raise a fund of RMB 10 billion yuan for cooperation between the Chinese and German (European) SMEs. 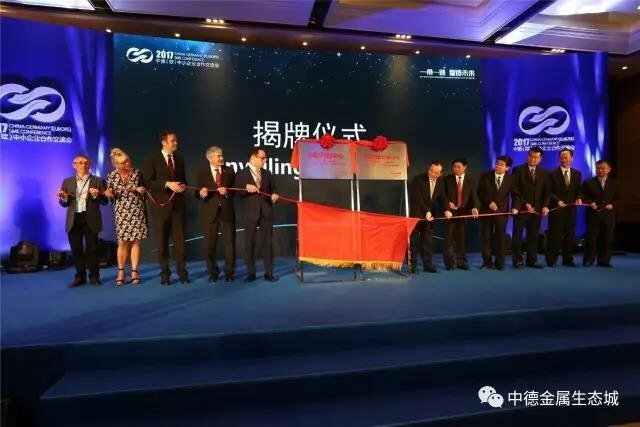 Besides the communications and match-makings, the Chinese and European enterprises also witnessed the unveiling ceremony of Sino-European Technology and Innovation Center, ZhongDe Vocational Education and Training Center and Sino-German (Europe) Artificial Intelligence Innovation Base. 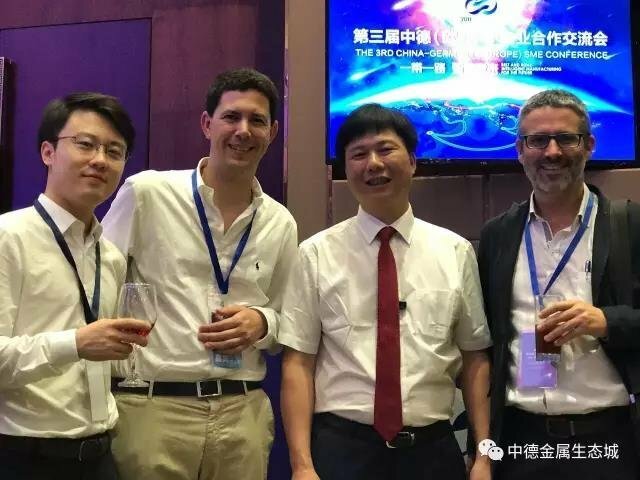 As the representative of Sino-German (Europe) SMEs cooperation project, launch ceremony of Sino-German Greatoo Intelligent Industry 4.0 Base project was held in ZhongDe Metal Eco City. 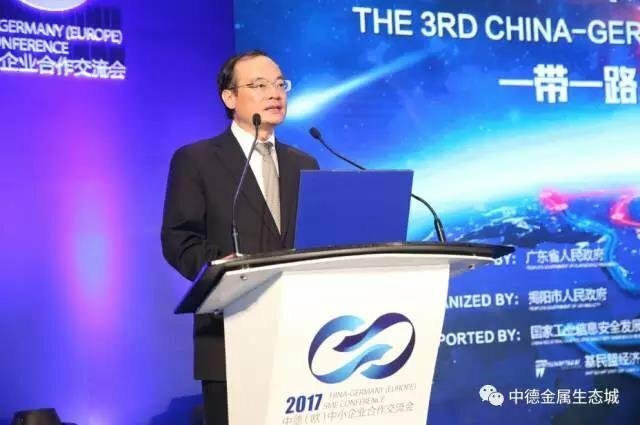 In addition, the Conference also invited the Deputy Director of Foreign Cooperation Center of the Ministry of Environmental Protection Yu Lifeng to make a speech on the theme of "New Opportunities for Cooperation in Environmental Protection", and the General Manager of Qianhai Equity Exchange Lin Fan to make a speech on the theme of “Financial Service for SMEs and Micro-Enterprises around the World”. 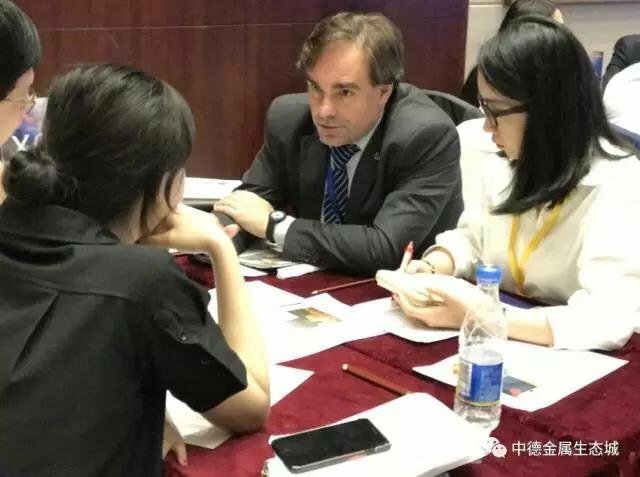 Thematic forum “Exploration of Sino-German (European) SMEs Cooperation Method” and Czech business forum, thematic statement as well as mainstream media interview were held during the Conference. Meanwhile, themed exhibitions (Advanced Technology & Equipment Exhibition, China-Germany (Europe) Enterprises Exhibition, Financial Services Exhibition) were held to promote exchange of thoughts of Chinese and foreign guests from different fields, and furtherly realize strategic match-makings and uncover the potential of cooperation and to find out the most suitable partner and boost industrial transformation and upgrading in the face-to-face communication and discussion. 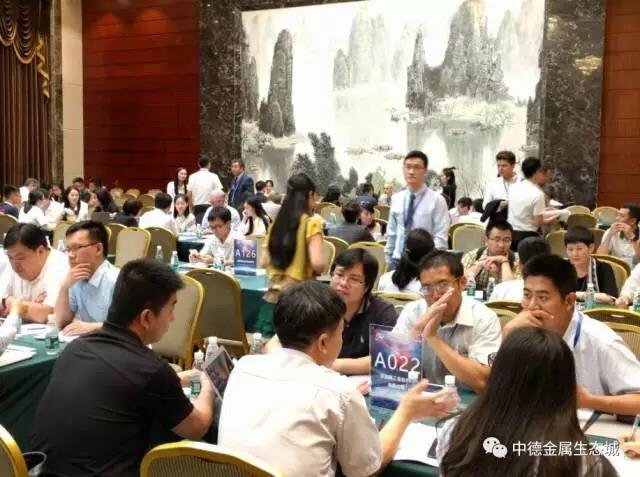 During the two-day Conference, 550 match-makings between over 260 Chinese enterprises and 165 overseas enterprises were carried out; many enterprises had also found out suitable partners. With joint efforts, 35 cooperation agreements and 170 MOUs were signed while 350 meeting minutes was collected. 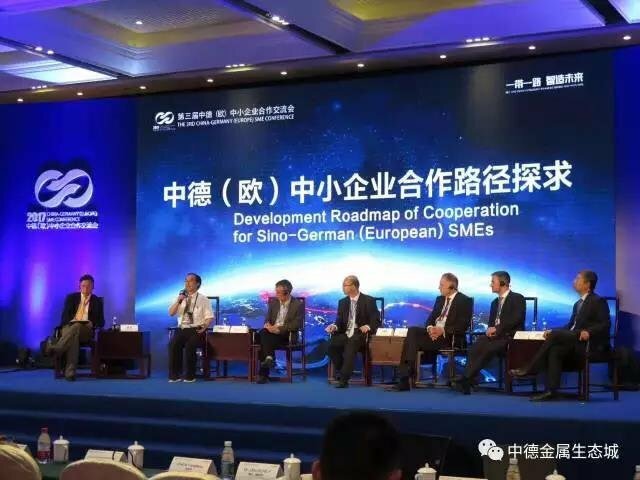 What’s more, some of projects are now in progress which will separate new seeds for friendship and cooperation among SMEs of China and Germany (Europe). 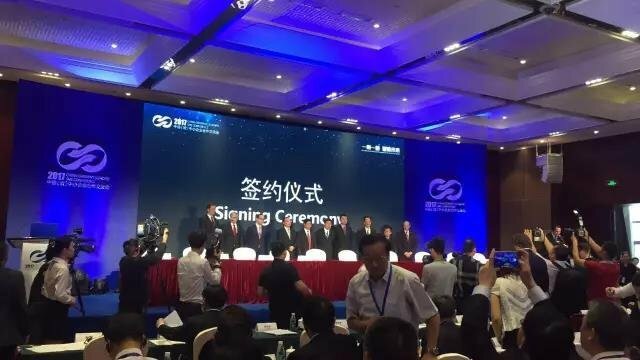 In this Conference, 35 cooperation agreements and 170 MOUs were signed, involving the fields of intelligent manufacturing, environmental protection technology, financial service and educational training, etc. All these projects will furtherly promote mutual technological innovation and deepen comprehensive cooperation between both parties. 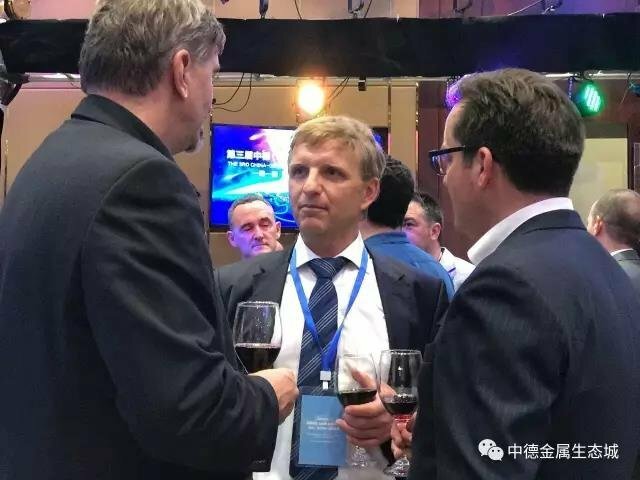 On the afternoon of the 12th and the morning of the 13th, face-to-face match-making of Chinese and German (European) enterprises was held grandly. 550 match-makings between over 260 Chinese enterprises and 165 overseas enterprises (institutions) were carried out. 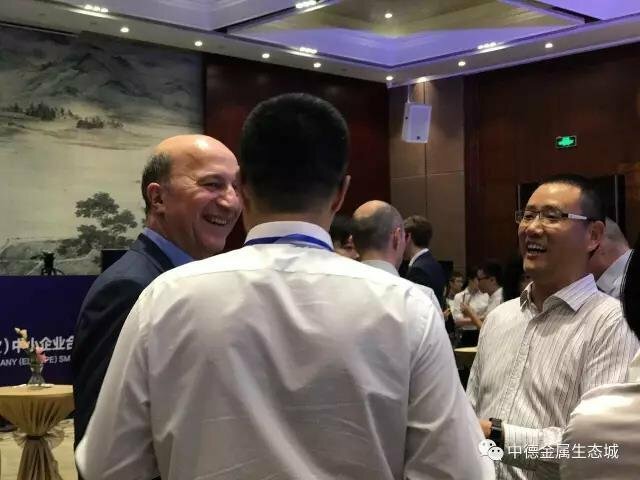 Hope the two-day Conference will lead the Chinese and German (European) entrepreneurs to exchanges of idea and culture, and cooperation and communication in a higher level and more extensive areas as well as great fruits can be achieved. Wish the Chinese and European enterprises to take the Conference as an opportunity and create more benefit for the SMEs from the cooperative achievements.